Let's get this out of the way right now: real Christmas trees are the best. That said, there are downsides to live trees, not the least of which is the stress of finding fallen pine needles for weeks after your precious Douglas Fir is dead and gone. But what's the alternative? Buying a fake tree, like that one from Goodfellas?! Well, yeah. As great as the real deal can be, there's no denying the convenience of an artificial tree. Yes, they tend to cost a lot more than their live counterparts, but since they're reusable, you'll end up saving money in the long term -- money you can then use on presents! Or yourself, we're not judging. 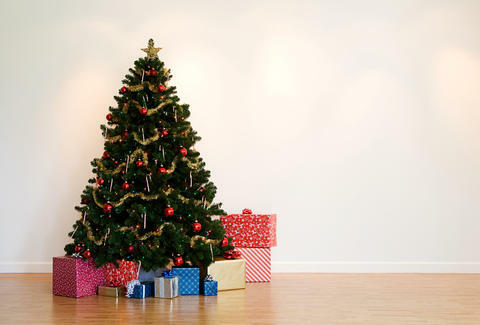 To make things as easy as possible, we've picked out the best artificial trees available on Amazon right now, in a variety of styles and heights. Take your pick! Whichever one you go with, you'll wanna order it ASAP before the stock runs out. Don't be the one who ruins Christmas!